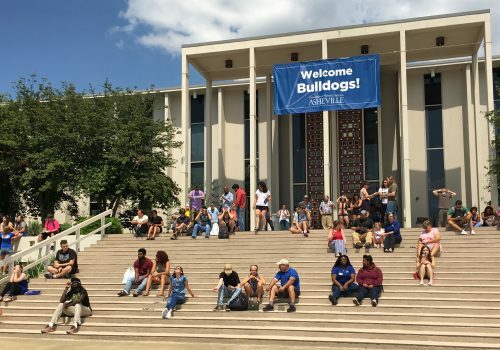 UNC Asheville’s EmBark Orientation teaches all new Bulldogs about academic advising, curriculum, course registration processes, campus resources, and much more. Each EmBark session is packed with activities as well as opportunities to meet other new students. EmBark employs UNC Asheville upperclassman students, known as the Blue Crew Orientation Leaders, to assist with helping you to meet other new students, learn about campus resources, navigate the curriculum requirements, and find your niche. All new, degree-seeking transfer and freshman students are required to attend EmBark Orientation. Visit the Transition & Parent Programs website for additional information about our orientation programs and resources for first-year, first generation, transfer, and Veteran students.